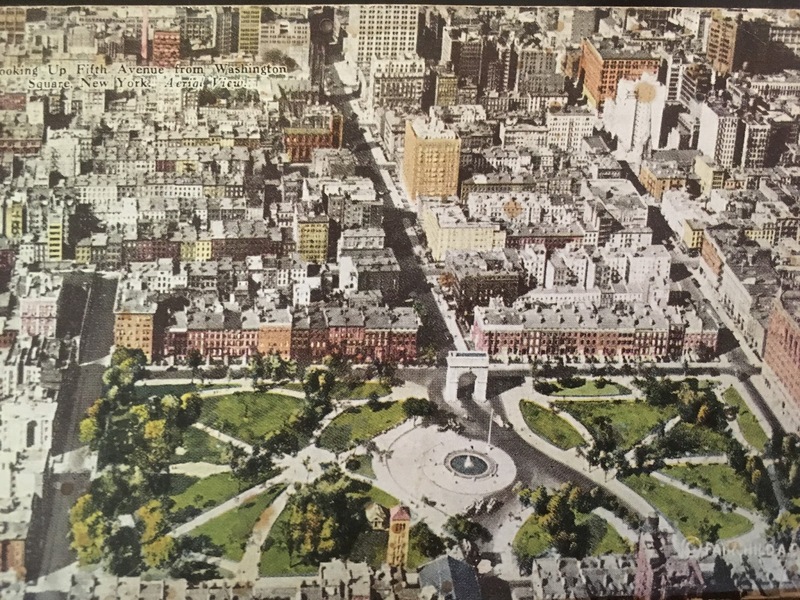 Today's postcard is an aerial view of Washington Square and lower Fifth Avenue. The postcard was sent in August 1928, but the image must be from a few years earlier. Notice that No. 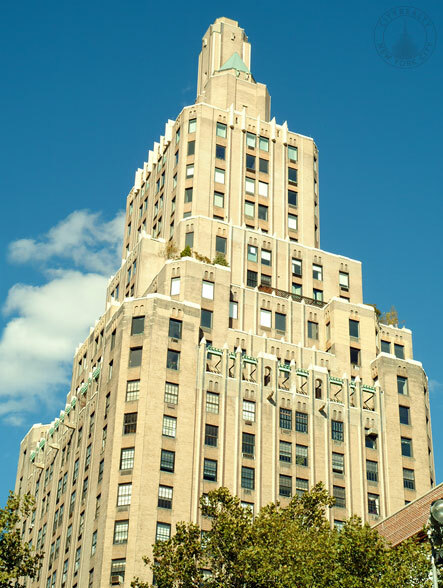 1 Fifth Avenue, erected in 1927 (and pictured below), is missing. Also notice that an asphalt road goes through the Washington Arch and continues through to the south side of the square. This was the road the Robert Moses wanted to expand in the 1950s to make the Village more car friendly and to connect uptown traffic to the Lower Manhattan Expressway (LOMEX), which was on the drawing board at the same time. The road through Washington Square was blocked by Shirley Hayes and Jane Jacobs, whose 100th birthday was yesterday. As part of the birthday celebrations, James wrote a history of the rise and fall of LOMEX for Curbed.com.